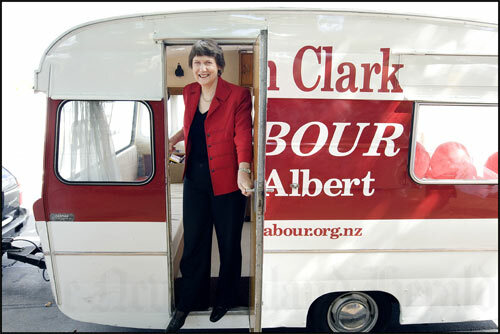 Former prime minister and Labour Party leader Helen Clark shuts down the caravan which served as her Mt Albert electorate office from 1981 to 2009. Clark was retiring from Parliament after Labour lost the 2008 election. Mt Albert, a socially mixed electorate (known as Ōwairaka from 1996 to 1999), was typical of a 'safe' Labour seat.